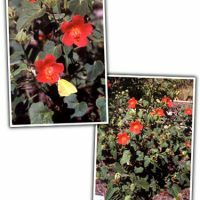 A unique & absolutely delightful hibiscus to South Texas & Mexico. 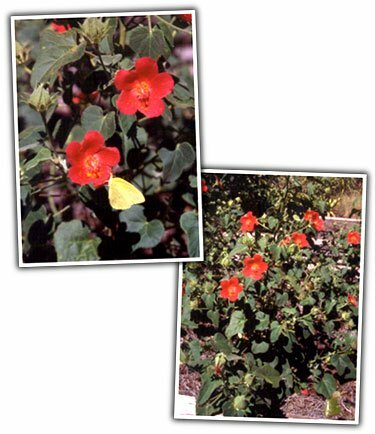 This small, drought tolerant 2-3 hibiscus has wonderful, soft, velvety heart-shaped leaves & is a non-stop bloomer of gorgeous 2-3 rich coral-red flowers from mid spring to the first freeze. It must have good drainage & full sun. Butterflies!! !